Description: Historically, form critical studies of prophetic literature have answered mainly historical questions. However, scholars recently have begun to address literary topics as well. 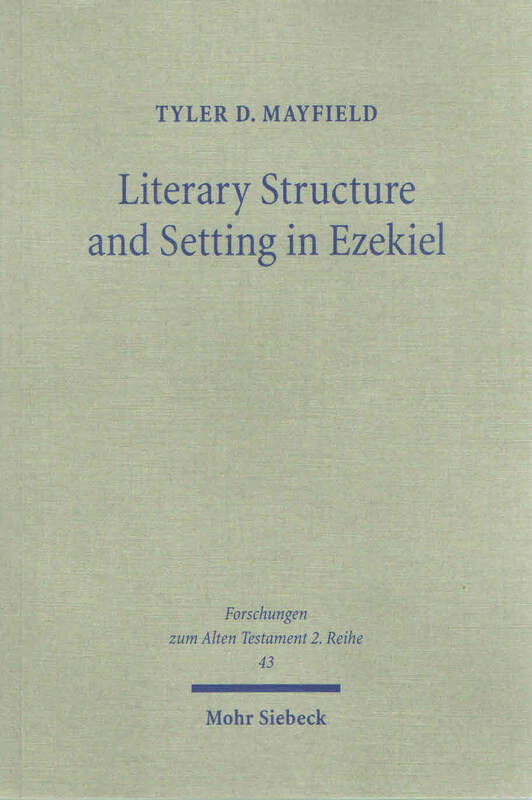 This study of the book of Ezekiel addresses two such topics�literary structure and literary setting�in order to read Ezekiel as a deliberate work of literature, a prophetic composition with a highly-structured form and an intentional placement of units. Mayfield provides a discussion of the role of literary markers in structure and proposes a literary structure of the book based on two formulas: the chronological formula, which divides the book into 13 macrounits, and the prophetic word formula. Then, the author argues for contextual readings of selected Ezekiel passages using literary structure to highlight literary settings. One of these contextual readings presents the unlikely macrounits, Ezek 24-25 and Ezek 32:17�33:20, as transitional units within the book. Citation: Richard G. Smith, review of Tyler D. Mayfield, Literary Structure and Setting in Ezekiel, Review of Biblical Literature [http://www.bookreviews.org] (2014).